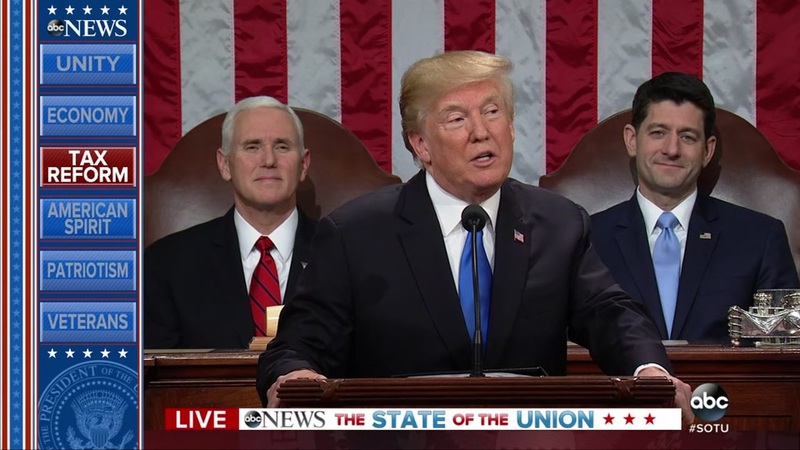 President Donald Trump delivered his first State of the Union address to Congress Tuesday night. According to the U.S. Centers for Disease Control and Prevention, about 40 percent of the opioid deaths in 2016 involved prescription painkillers. Those drugs are made by pharmaceutical companies. Some are abused by the people who have prescriptions; others are stolen and sold on the black market. THE FACTS: That depends on how you define "tremendous." The biggest beneficiaries of the tax law are wealthy Americans and corporations. THE FACTS: There's nothing new in that: The U.S. has long exported all sorts of energy while importing even more. If Trump meant that the U.S. has become a net exporter of energy, he's rushing things along. The U.S. Energy Information Agency projects that the U.S. will become a net energy exporter in the next decade, primarily because of a boom in oil and gas production that began before Trump's presidency. The Trump White House has predicted that could happen sooner, by 2020. But that's not "now."